Bacteria that can pass on genes resistant to ampicillin, one of the most commonly used antibiotics today, emerged several years before the widespread use of this antibiotic in humans, according to new research published in The Lancet Infectious Diseases. Molecular analysis of historical samples of Salmonella by researchers at the Institut Pasteur (Paris, France) suggests that the ampicillin resistance gene (blaTEM-1) emerged in humans in the 1950s, several years before the antibiotic was released onto the pharmaceutical market. The findings also indicate that a possible cause was the common practice of adding low doses of penicillin to animal feed in the 1950s and 60s. The study comes just weeks after WHO called for the end to routine antibiotic use to promote growth and prevent disease in healthy farm animals. "Our findings suggest that antibiotic residues in farming environments such as soil, waste water, and manure may have a much greater impact on the spread of resistance than previously thought," says Dr Francois-Xavier Weill, Institut Pasteur, who led the study. Antibiotic resistance kills around 25,000 people a year in Europe, and this is predicted to rise to over 10 million people worldwide by 2050. Many bacteria that cause serious infections in humans like Salmonella, have already developed resistance to common antibiotics. Ampicillin, the first broad-spectrum penicillin for the treatment of infections due to Enterobacteria, was released on the market in the UK in 1961. Shortly after (in 1962-1964), the first outbreaks of disease in humans caused by ampicillin-resistant strains of the common zoonotic (which cause disease that can be spread between animals and humans) bacterium, Salmonella enterica var Typhimurium (S. Typhimurium), were identified in the UK. This short timeline prompted the researchers to investigate the emergence of ampicillin resistance. In this study, they tested 288 historical samples of S. Typhimurium collected from humans, animals, and food and feed in Europe, Asia, Africa, and America between 1911 and 1969. Samples were tested for antibiotic susceptibility and were analysed by whole genome sequencing, in order to identify the mechanisms of resistance to ampicillin. The researchers found various ampicillin-resistance genes in 11 isolates (3..8%) from human samples. Importantly, the blaTEM-1 gene was found on plasmids (mobile DNA that can be easily copied and transferred between different bacteria) in three isolates taken from humans in France and Tunisia in 1959 and 1960. The authors note that despite the close proximity between the countries, the vectors of ampicillin resistance (mostly from France) differed from those in the strains responsible for the first outbreaks in the UK in the 1960s. Dr Weill says: "This indicates that the early emergence of ampicillin resistance was due to multiple independent acquisitions of these resistant genes by different bacterial populations and their varying spread across several countries." "The genetic diversity of these ampicillin-resistant isolates, their resistance mechanisms, and their geographic distribution, indicate that ampicillin resistance had already spread in this prominent zoonotic bacterium in the late 1950s, several years before ampicillin became commercially available." A report from the UK Central Public Health Laboratory in 1965 raised the idea that low doses of the narrow-spectrum antibiotic penicillin G (also known as benzylpenicillin), routinely added to animal feed, may have contributed to the emergence of ampicillin resistance in humans in the UK (a practice that was banned in the UK in 1969). 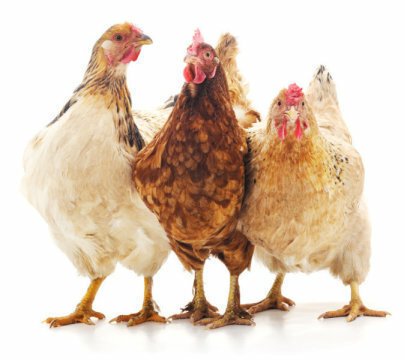 In further analyses, the authors confirm that ampicillin resistance genes can be successfully transferred between wild type S. Typhimurium strains after exposure to relatively low levels of penicillin G, similar to those found in the litter of chickens fed with antibiotics in the USA in the 1970s. The authors note some limitations of this study, particularly the highly selective nature of the available historical isolates that were predominately from France and former French colonies in Africa and Asia. According to Dr Weill, "Although our study cannot identify a causal link between the use of penicillin G and the emergence of transmissible ampicillin-resistance in livestock, our results suggest that the non-clinical use of penicillins like benzylpenicillin may have encouraged the evolution of resistance genes in the late 1950s. There is an urgent need to re-evaluate the use of antibiotics in animals and for a &apos;one health&apos; approach to tackling resistance, recognising that bacteria know no borders. This must include close international monitoring and surveillance of resistance in both human and animal health." Writing in a linked Comment, Dr Sandra Van Puyvelde and colleagues from the Institute of Tropical Medicine Antwerp, Belgium say, "Antibiotic growth promoters have been gradually banned in Europe since 1996 (with a complete ban in 2006), without adverse effects on animal production, but resulting in a decrease in antibiotic resistance in pigs and poultry. Extensive use of antibiotics, however, continues in low-income and middle-income countries and in booming economies, particularly in intense farming such as that of fish and shellfish." They add, "Despite limitations inherent to the retrospective nature of the study (limited geographical and spatial coverage), Tran-Dien and colleagues clearly show the existence of ampicillin resistance before the drug&apos;s commercial introduction... The findings underline the importance of One Health approaches to tackling antibiotic resistance, which state that the health of people is connected to the health of animals and the environment. Likewise, multidisciplinary and inter-sectorial collaborative efforts are needed to counter the spread of antibiotic resistance."